River cruise specialist Scenic Cruises is entering ocean cruise market with the launch of its brand new ultra-luxury ship in August 2018. The all-suite, 228-passenger Scenic Eclipse, which looks more like a billionaire's yacht, will have an ice-strengthened hull, twin helicopters, an aft marina with a fleet of Zodiacs and a 7-person submarine. Image: youtube.com Scenic's move follows that of Viking River, which entered the ocean arena last year with the launch of Viking Star. It also follows Crystal Cruises move into the yacht arena last year. In fact, the new Scenic ship bears some similarities to Crystal Esprit, the 62-passenger yacht that Crystal launched in the Seychelles last month and has a submarine as well as an aft marina. 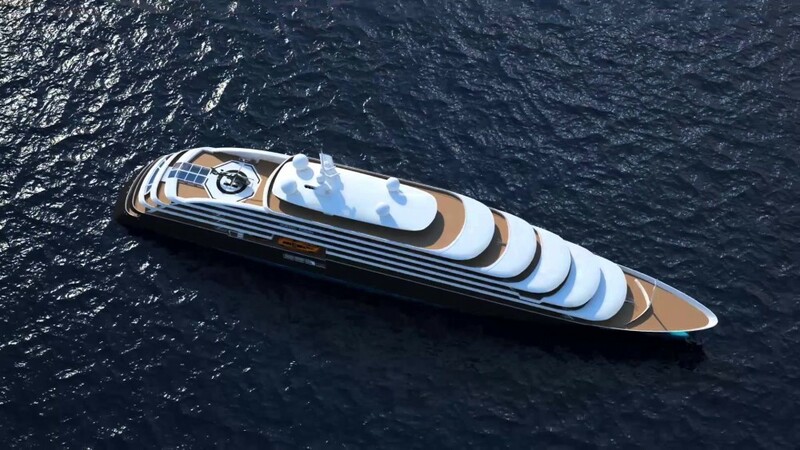 Scenic is describing the vessel as the "world's first discovery yacht;" it will have the highest passenger ship ice-class rating - 1A Super - allowing it to operate deep into the Arctic and Antarctica, where it will spend three months of the year. 114 suites, the smallest of which starts at 32 square meters (344 square feet). Each will have a veranda and separate living room. a 233-square-meter (2,507-square-foot) Owners Penthouse Suite.